Family and Kid pricing available! Additional race information can be found at http://www.willgoodale.com/. Join us for the inaugural Will Run's in memory of Will Goodale. 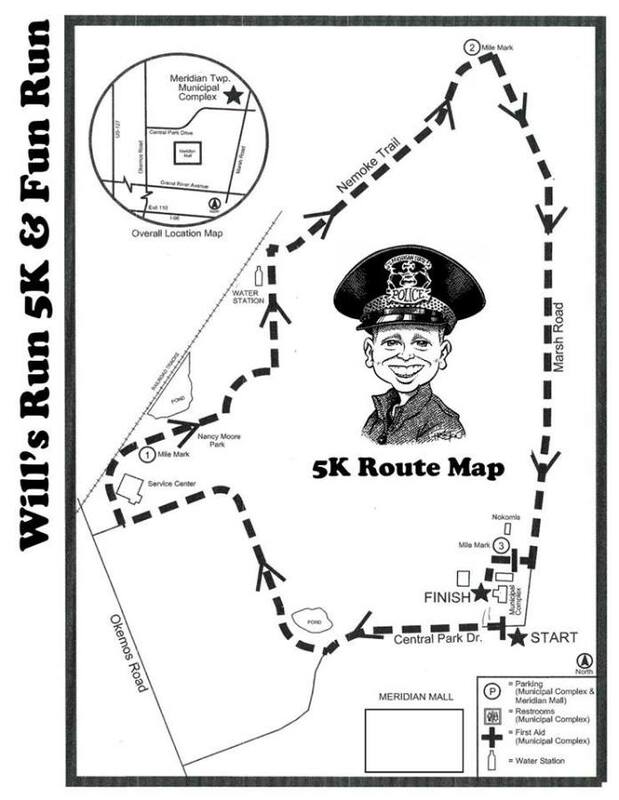 This 5k run/walk will be held on Sunday, August 4th at Meridian Township park. This is a family friendly event, all ages and abilities welcome! The Will Goodale Memorial Foundation was created in memory of our son Will, who passed away at age 10 on November 2, 2015. 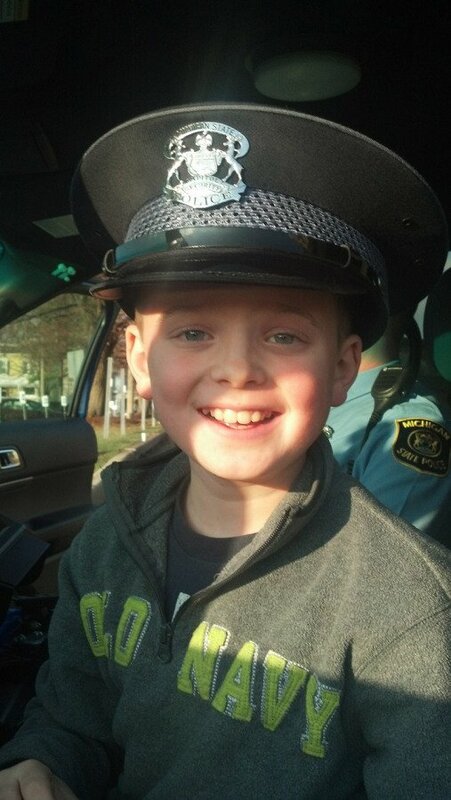 Will always wanted to be a police officer and swat-team member for The Meridian Township or Michigan State Police. The purpose of this foundation is to remember and carry-on Will's name & spirit and to help those who share his life-long dreams and goals of pursuing law enforcement. Proceeds from all foundation events, donations, and sponsorships will be invested in full and used to provide scholarships for students entering a police academy. Can't attend the race but would like to support Will's cause? Click here for donations only! Special family pricing available: Register 3 or more people at the same time and save $5 per participant. Kids 18 and under run/walk for only $20! Want to run for FREE?!? See below for details. T-shirt: Register by July 24th to be guaranteed a t-shirt, t-shirts available as supplies last afterwards. Are you a Walker not a Runner? No problem! Come out and walk the 5k. You won't be alone. We will have many people walking the 5k. The race will be professionally timed by the Michigan Running Foundation. Results will be posted during the race and online at Playmakers.com. Help support our wonderful cause and we'll give you a FREE entry. When you donate $75 your entry fee will be free. When you donate $50 you'll receive $10 off your entry fee, $25 donation receives a $5 discount off entry fee. Register and follow the steps on the donation screen and choose the donation level. The discount will be automatically applied during checkout. Proceeds from all foundation events, donations, and sponsorships will be invested in full and used to provide scholarships for students entering a police academy. This race is endorsed by The Governor’s Council on Physical Fitness and part of the 2019 Michigan Fitness Foundation Challenge. The challenge encourages Michiganders to engage with events that promote physical activity, health and wellness. You will receive a FIT point for every endorsed event you participate in or volunteer for from January 1, 2019 until December 31st, 2019. Points earn cool swag and a chance to win various prizes! To sign up and learn more click HERE. There is no cost to this challenge.